These are recaps of I Hear You Chinese Drama Episodes 1-2, Li Zi looks for the guest for the show, and asks Bei Erduo a favor. Bei Erduo doesn’t want to pretend to be in relationship, but agrees it when Li Zi keeps persuading her. Note: From here on out there are specific plot spoilers for I Hear You Chinese Drama Episodes 1-2. Bei Erduo comes from an ordinary family, and she likes voice. She wants to go to Japan and becomes dubbing specialist. But her mom never supports her dream, and wants her to marry a rich man. She keeps arranging blind dates for her, and Bei Erduo feels tired. Bei Erduo attends a reality show, and gets to know talented musician Ye Shuwei. 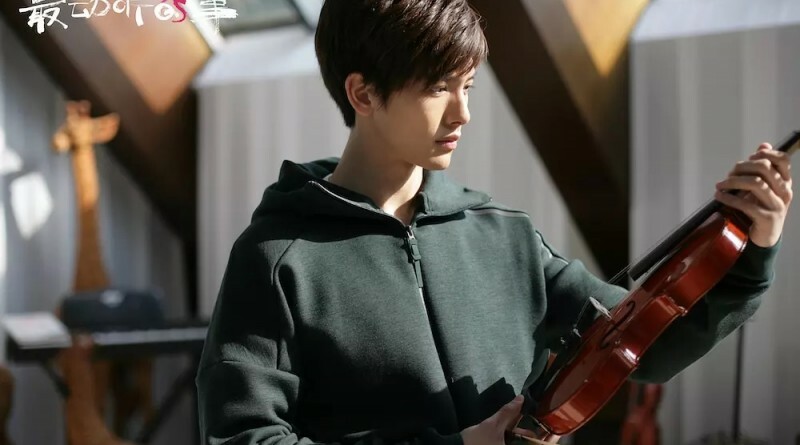 Ye Shuwei is handsome and founds the violin workshop. Bei Erduo never gets to know Ye Shuwei, and doesn’t have feeling to him. So she says that she knew him two days before, and audience are shocked. Ye Shuwei pinches Bei Erduo’s face, and confesses his love to her, making the fans scream. She is furious to blame him, but he ignores her. Bei Erduo’s best friend Li Zi knows she wants to earn money to go to Japan, so she asks Ye Shuwei to sign the contract with Bei Erduo. But he disagrees and asks Bei Erduo to apologize to him. Bei Erduo remembers Ye Shuwei interviewed her, but she knew the candidate had been decided and blamed him. He enjoyed her voice, but the candidate was chairman’s daughter. So he had no choice. Bei Erduo needs money to go to Japan, so she bows to apologize. But she mocks him secretly. Ye Shuwei accepts her apology and agrees to sign the contract, but he doesn’t want to contact her in private. Li Zi looks for the guest for the show, and asks Bei Erduo a favor. Bei Erduo doesn’t want to pretend to be in relationship, but agrees it when Li Zi keeps persuading her. Meanwhile, Ye Shuwei’s nephew Yu Sheng persuades him, and Ye Shuwei troubles Yu Sheng with the question of music. Yu Sheng has to ask Bei Erduo a favor. 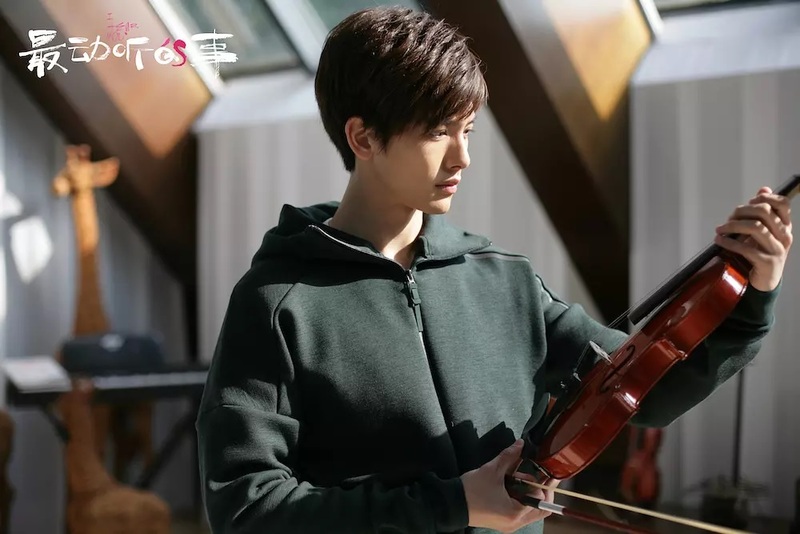 She resolves the question effortless, and Ye Shuwei is interested in the girl who can distinguish the subtle music. Bei Erduo dreams Ye Shuwei sneaks into her room, and is startled to wake up. Li Zi asks Bei Erduo to have meal with Ye Shuwei, and Bei Erduo has to agree since she signed the contract. She is late because she isn’t familiar with the road. Ye Shuwei scolds her for being late eleven minutes. When they see off, Li Zi offers to take a group photo together, but Ye Shuwei rejects it. Bei Erduo runs into her classmate Zhang Yilu, but Zhang Yilu thinks she gets better job than Bei Erduo and pinches her face. Ye Shuwei shows up and confesses his love to Bei Erduo. Zhang Yilu recognizes him as the super star and greets him. But Ye Shuwei ignores her to take revenge. Bei Erduo asks him to take group photo again, but Ye Shuwei rejects it again. She doesn’t want to lose her job, so she asks him to stand there and takes the photo, and hands over to Li Zi. The chief treats Li Zi the dinner, and asks her to drink. Yu Sheng drinks for her and carries drunk Li Zi home. He confesses his love to her, and claims that he has ability to protect her. Li Zi is moved, and they kiss. The next day, Li Zi sneaks into dorm and is spotted by Bei Erduo. Bei Erduo worries that Li Zi gets hooked by bad guy, and it makes Li Zi laughs. Ye Shuwei looks for the person with musicality. Yu Sheng wonders why Ye Shuwei still looks for the person since Bei Erduo is the best candidate. Li Zi takes Bei Erduo to buy clothes in the clothing shop, but Zhang Yilu mocks Bei Erduo for being poor. Bei Erduo doesn’t want to spend money and decides to give up the clothes. But Li Zi buys it for her. Zhang Yilu knows Ye Shuwei’s friend, so she knows he doesn’t have any girlfriend. She reveals Ye Shuwei never mentions Bei Erduo, and says that he is going to attend a party. Li Zi is furious to promise that Ye Shuwei will take Bei Erduo to attend the party. They’re upset since the clothes is expensive, but they have to do it because Zhang Yilu is staring at them. Li Zi thinks Zhang Yilu will mock Bei Erduo if Ye Shuwei doesn’t take her to attend the party. So she tells her to flatter him and makes him agree it. Bei Erduo attends the amusement park date project, and is chosen to haunted house adventure. Her leg is weak, and she jumps to Ye Shuwei.